Atheism has a new face. Just for the record, I am not speaking about the “New Atheists,” who burst on the scene after 9/11 and have been the public face of atheism for the past dozen years. The “four horsemen” of atheism—Richard Dawkins, Sam Harris, Christopher Hitchens, and Daniel Dennett—helped launch and inspire a (then) “new atheist” movement. But times have changed. If the recent low turnout for the Reason Rally is any indication, this brand of atheism may be fading. The “new atheists” still do exert considerable influence in culture (including Hitchens, who died in 2011), but there is a “new face of atheism” that is becoming much more important today. Rather than a top-down movement such as characteristic of the “new atheism,” this is a bottom-up movement, more like the church. But the new face of atheism has a different approach. Their goal is not to eradicate any vestige of religion. In fact, at times, some even have positive things to say about the church in general and Christians in particular. While they are certainly critical of religious practices and teachings, they seem more interested in creating secular communities alongside the church than entirely silencing the church (although when it comes to politics, it may be a different matter). 2. Emphasis on community and rituals. The “new atheists” made their mark distinctly through intellectually critiquing religion. Using science, philosophy, theology, history, psychology and more, the “new atheists” aimed to discredit religion and to usher in an entirely secular society. I don’t believe their critiques have been successful. In fact, I respond to their main attacks in my book Is God Just a Human Invention? But the point is that they aimed to use reason to undermine religion. In contrast, the new face of atheism aims to create secular communities that rival the church. The growth of atheist churches, for instance, is evidence of this emphasis. Many aim to co-opt positive aspects of church, such as community outreach, inspiring messages, fellowship, song singing, and other communal rituals typically associated with religion. The goal is for people to experience the kind of community often found in church (without God, of course), but also to reach more people with a secular message that meets both the heads and hearts of non-believers. 3. Less emphasis on apologetics. Reason was the primary tool of the “new atheists.” They rationally attacked religion and reveled in their intellectual superiority to “ignorant, dangerous religious folks.” Daniel Dennett even suggested atheists should change their name to “Brights." In contrast, the new face of atheism does not lead with the intellect. While they do reject the truth of Christianity, and frequently raise objections to the faith, they seem to focus more on the heart than the mind. This is not meant as a critique, but a recognition that they are less interested in debating theology than in simply helping people in the here and now. They are driven more to help people find community and meaning in their present lives than discussing the second premise of the cosmological argument. In fact, some even question the importance and relevance of the big questions of life. Bell is perhaps best known for being the pastor who lived a “Year Without God.” He was a Seventh-day Adventist pastor for nineteen years before becoming an atheist. He now heads up an organization committed to helping people de-convert from religion. He blogs, podcasts, counsels, and is aiming to build a safe community for people who have left religion. This past Saturday, Ryan and I had a public conversation about God and atheism at Church Everyday. Justin Brierley was the host, and it will air soon on the popular radio show Unbelievable. While much could be said about the event, my point here is to highlight how Ryan brings a new “face” to atheism. He is likeable, smart, kind, gracious, and fun. While he does have some similarity to the “new atheists,” overall he brings an entirely new (and much more appealing) face to atheism today. Bart Campolo was a Christian evangelist who launched Mission Year. Now he is the humanist chaplain at USC. I first heard Bart speak in the mid 90s when I was a student at Biola. He instantly struck me as smart, funny, and deeply committed to advancing the gospel. He has encouraged me multiple times along my journey, and in fact, I volunteered an entire year at the Dream Center, a church in the inner city L.A., because of his prompting. Rather than creating a secular community that hosts debates, discusses philosophy, and aims to actively eradicate religion, he is developing community for people who don’t believe in God. 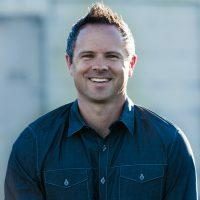 In fact, when we met last year up at USC, he shared with me how he’s essentially applying many of the principles he learned in the church, and from ministries like Young Life, to the secular world. And it seems he’s having considerable success. The point of this blog is not to offer suggestions for how Christians ought to respond to the “new face of atheism.” Maybe I will tackle that issue in a future post. For now, the point is to recognize how the secular landscape is changing and to encourage Christians to begin thinking through how we best proceed. But I do have to make one point: Given that many atheists today are emphasizing community more than reason, it may be tempting to consider apologetics and theology passé. But this would be a colossal mistake. If experiencing community is the primary reason students embrace Christianity, then many will abandon faith when they experience community elsewhere. What will really help a student hang on to their faith is when they believe Christianity is true, and have reasons to back it up. And for that task, apologetics is indispensable.